With our project management skills we ensure the planning, organising, controlling resources, procedures and protocols to achieve the specific goals of our customers. Our service to customers helps reduce their time, cost and resource expenditure. Free up staff members to help the business in other areas. Single point of communication increases efficiency and tracking of progress. Ensure quality requirements at all stages of development, manufacture and delivery. 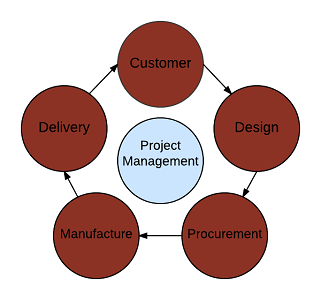 Sourcing design and processes/items to complete the required project.